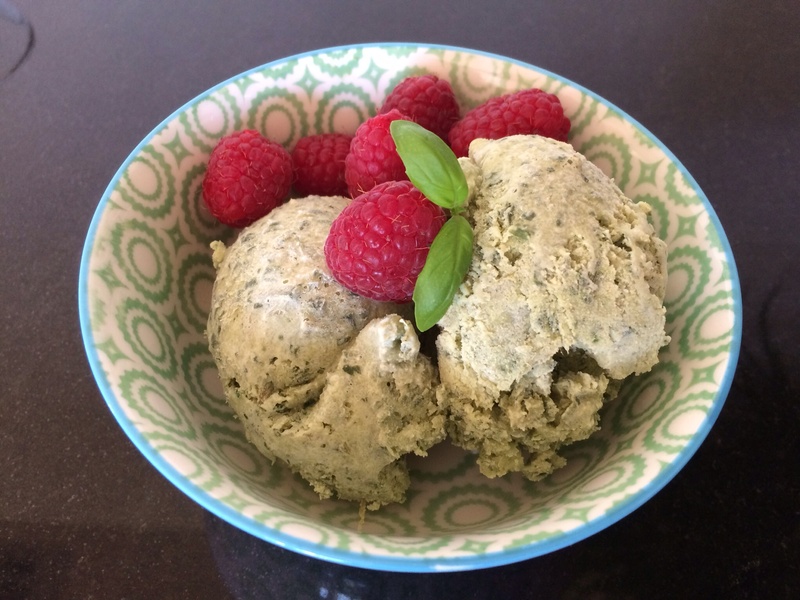 Sublime basil ice cream, summer on a spoon. 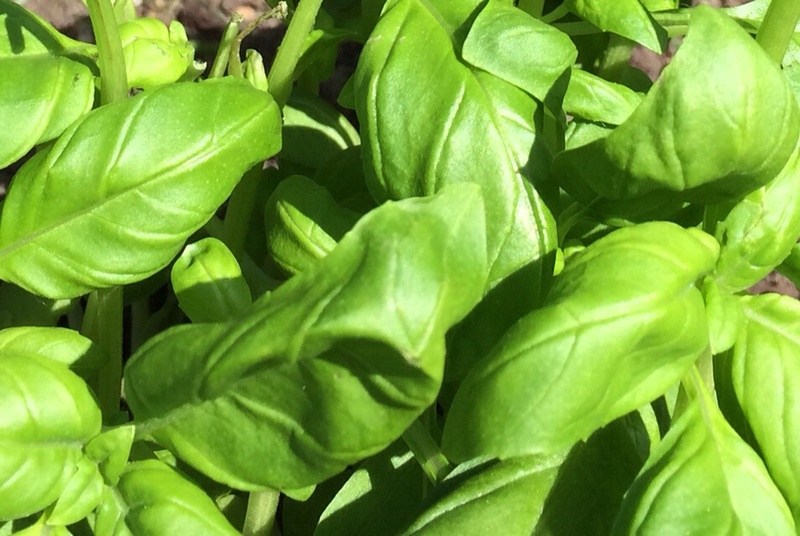 Loving picking the fresh basil from the garden! The fragrance is, for me, the epitome of the English summer. 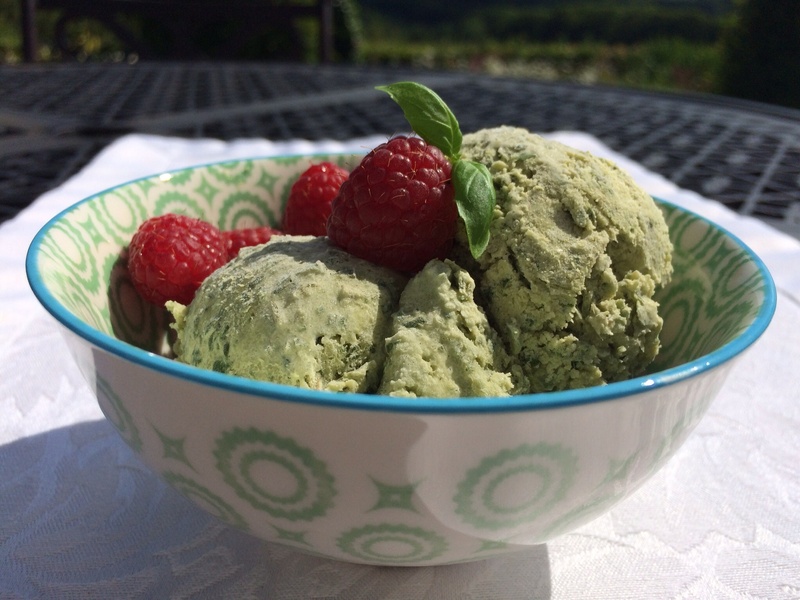 I’ve picked a big handful of basil, blitzed with a few tablespoons of sugar, added to some thick cream and, there you have it, a glorious summer dessert! I will be honest with you, this does work best made in an ice cream maker to make it silky smooth, but you can make it without one. Just fork the mix every hour whilst it freezes. It will still be very good indeed. You’ll need a big handful of fresh basil, (about 100g), 600ml of double cream, 4 heaped tablespoons of sugar, 200 ml of mascarpone. Take the leaves off the stalks, it’s the leaves you want (the stalks can prevent the ice cream from becoming silky smooth). Put the basil leaves and sugar into your blender with a little cream and blend until really smooth. Mix in the double cream and marscapone and put into your ice cream machine for about 20 minutes, or freeze and fork the mix every hour. Just when it’s frozen scoop into balls. 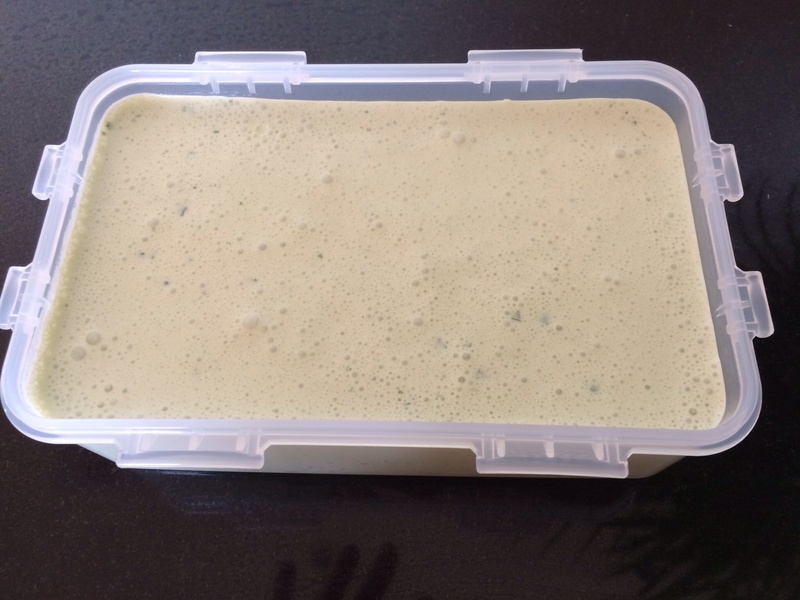 Re freeze if necessary – otherwise eat! Will make about 12 scoops. Let the ice cream sit in the fridge for about 20 minutes before serving. I must admit it does taste very nice with a few raspberries. And it does taste best when it’s just made, straight from the icecream maker! ← Caramalised pear and goats cheese salad with walnuts. This looks amazing mum, very impressive!